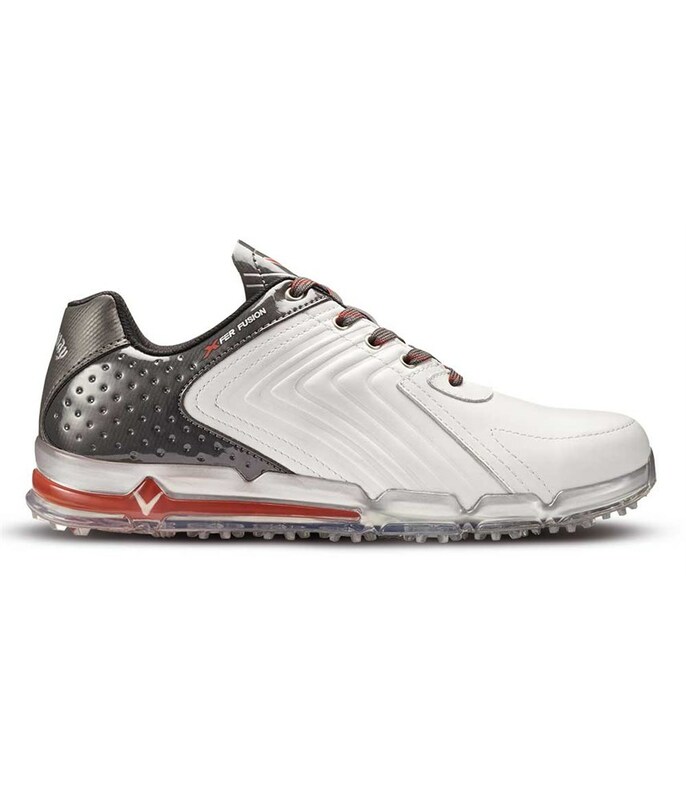 The Callaway Xfer Fusion golf shoes have been created to provide a super stylish look with enormous amounts of tech that will help to provide a comfortable, stable walk round the course. 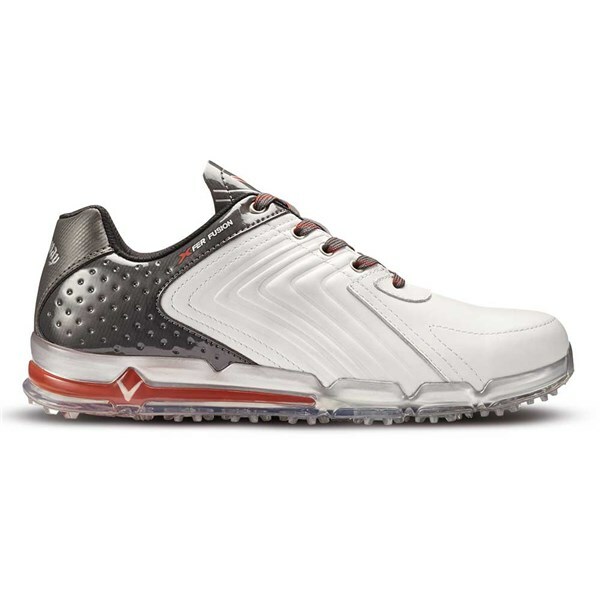 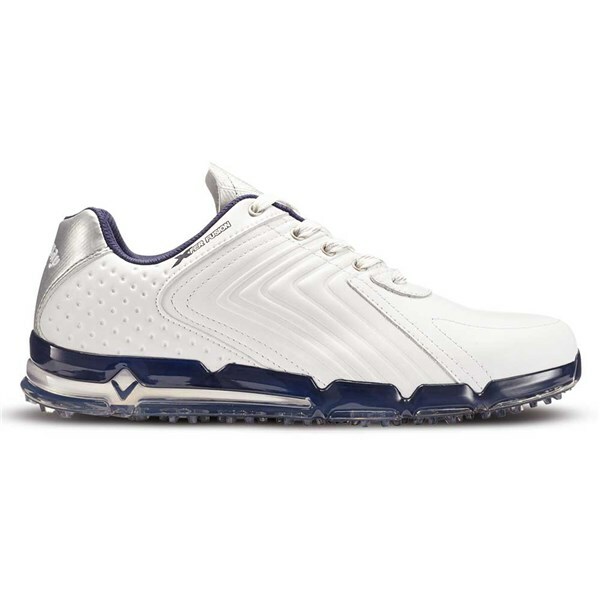 Callaway have used a sumptuous full grain leather upper that is soft and super comfortable. 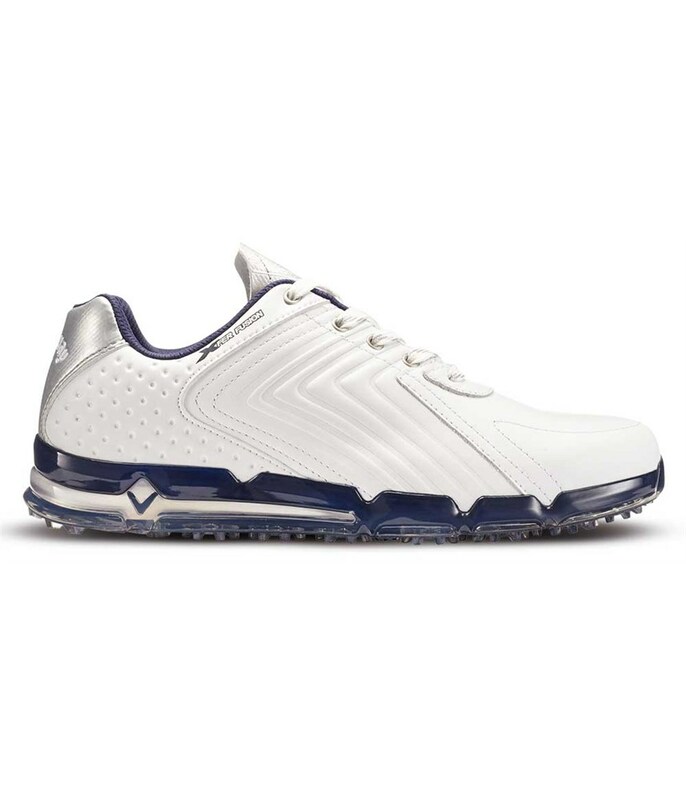 An Opti-Vent mesh lining provides a responsive breathable lining that will allow your feet to remain sweat-free and comfortable. 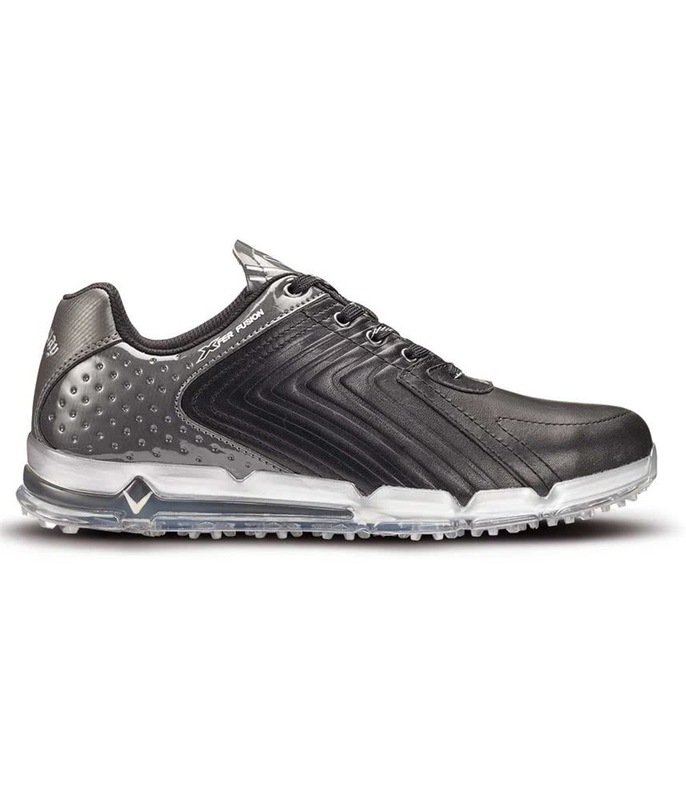 A combination of their Ortholite comfort insole and Opti-Soft energy return midsole will provide exceptional levels of comfort as well as reducing impact from walking. 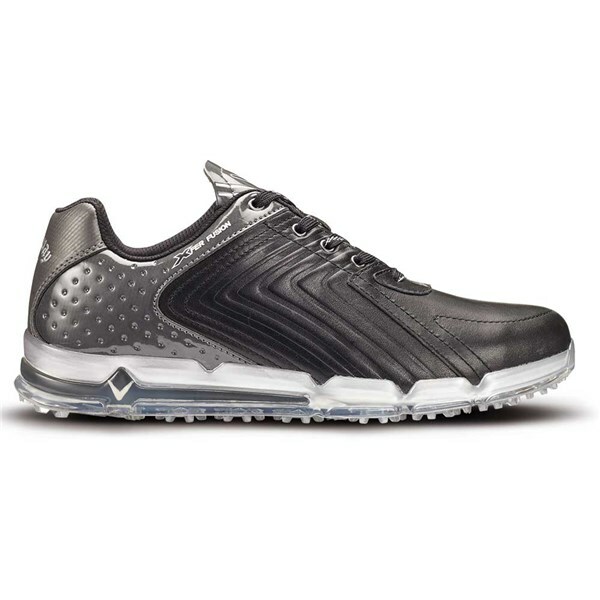 To provide tour levels of traction and stability whilst walking and swinging the club Callaway have used their Xfer lateral Power Wall, Xfer ground control directional lugs and Xfer downhill traction technology.